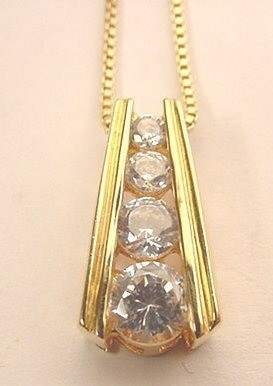 Vintage gold over sterling silver with cubic zirconium beads necklace. Pendant is 5/8's inch and the fine chain is 18 inches. Made in Italy.